The Helping Hand is a theme can be used as a crowdfunding theme, a charity or can be put to use in variety of areas. The support of HTML5 makes the template compatible with any browser and platform. This mobile-friendly template is accessible from any known device and from all around the world. You can check how the template looks like in tablet and phone by looking at the live demo of the template. 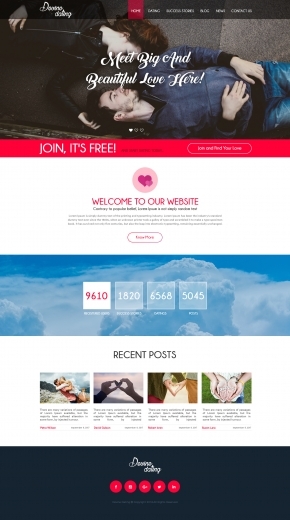 If you are a globally acknowledged charity and non-governmental organization and you want to have a nice and good-looking website to represent you, try our new fully responsive Helping Hand HTML Template. 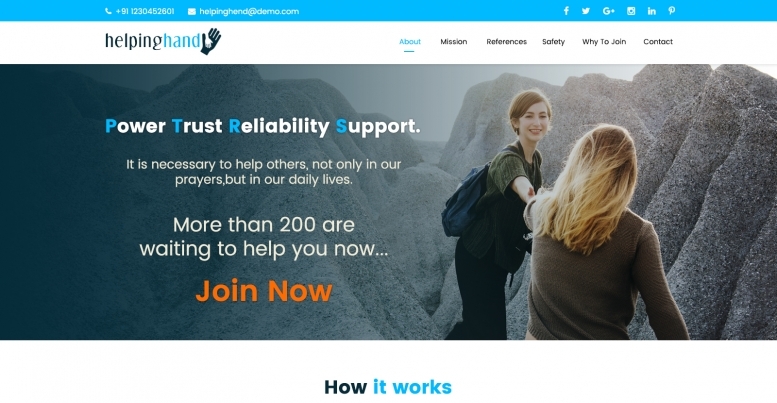 The homepage of Helping Hand features an attractive banner with top bar having links to all the social media accounts and a menu bar having the logo and pages of the website. 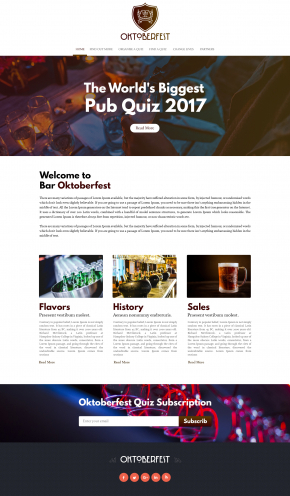 Also useful sections are present on the homepage which includes How It Works section with appealing design, a text section with header and a background image and option read more about it and a testimonials section which features their comments and their picture. 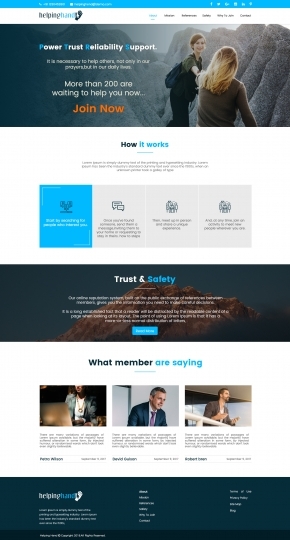 The design has a captivating footer with the logo and important links to various pages.